PAM: Hi, everyone. 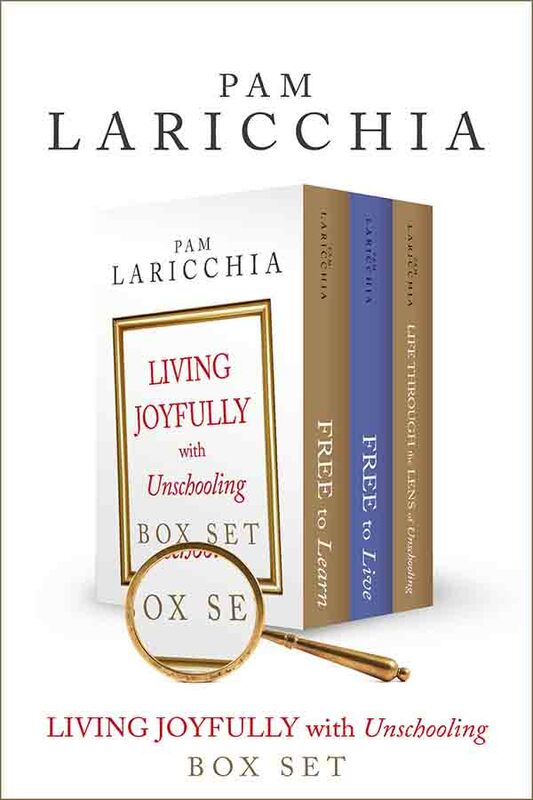 I am Pam Laricchia from livingjoyfully.ca, and today I am here with Jan Hunt. Hi Jan! JAN: Hi, thank you for having me. PAM: Thank you so much for joining us! Jan is the founder of The Natural Child Project, which houses a wonderful collection of unschooling and parenting articles. 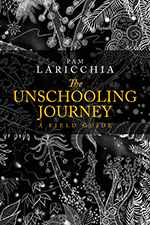 She also has two books out right now, The Natural Child and The Unschooling Unmanual. 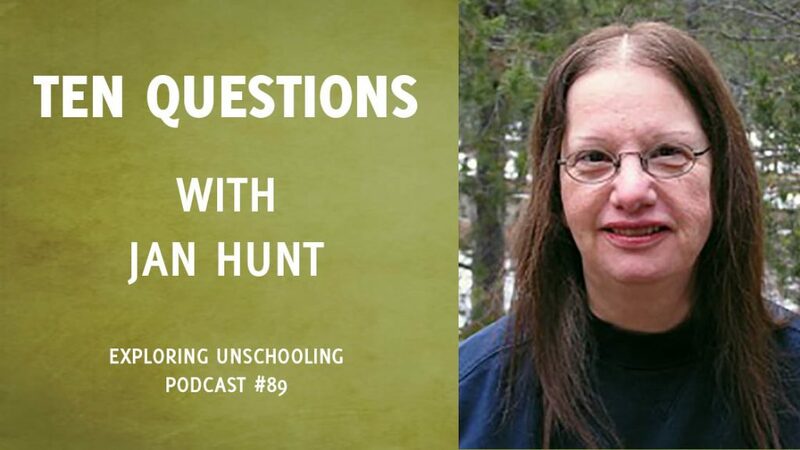 I am really excited to chat with her about her unschooling experiences and I have ten questions for you, Jan, so let’s dive in. JAN: I have just one child, Jason. He is in his 30’s now, and never has been in school. I used to say he has never been in a school building even, but then I remembered that one day I went to vote at a school, and I took him with me. So, he has been in a school building but he has never been in school, and I call him my unschooling poster child. I mean, he is just a terrific person, has a wonderful heart and is brilliant. I could just go on and on; the proof is in the pudding and he is one of many examples of that. PAM: That is beautiful. I know, I love hearing from unschooled young adults and adults because it is so fun to discover people who have been through the process, right? They are wonderful human beings. What did your family’s move to unschooling look like? 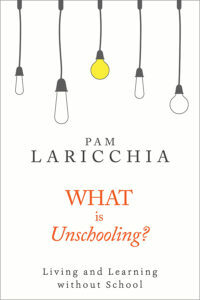 How did you find out about unschooling? JAN: When I was pregnant, we started looking at Waldorf and Montessori schools. I spent the first couple of years looking into those schools because my husband and I had both worked for public schools, so we knew that was out. We had seen too much behind the scenes, and had experienced it ourselves, so that left Montessori and Waldorf, or so we thought. I had this whole paradigm from school; that is what I thought homeschooling was. Fortunately, the group that I found in Victoria were basically unschoolers, although that term was not around yet. So, we just got lucky that we found the right group of people who not only gave us the right answers to our questions, but whose own children were the proof in the pudding. They were just so sweet and kind; they got along well, they were helping each other, they were not fighting. It was just an eye-opener. So, really from that point on, we became what some of us called, “John Holt Homeschoolers,” or “Organic Homeschoolers.” There were several terms that were used before “unschooling” came in. And I kind of wish there was a different term for it; it is still school-based, you know, the term itself still has the word “school” in it, and I kind of wish there was something else that we could use, but by now it has become an accepted term and people know where to go for that kind of information. PAM: And that came from John Holt. JAN: I think it did. PAM: Yes, that is my impression, anyway, that he came up with that. If I remember the story, which I originally read on Sandra Dodd’s website, he was trying to come up with a term that explained the concept easily, and there was the whole, “7-Up being the Un-cola,” thing. JAN: Right. Yes, that is right; I remember that now. PAM: He was like, “How do I juxtapose against school, to give the impression that this is what we are not doing?” I think that was before the whole homeschooling curriculum industry developed, so there was really only school or not doing school. Now you can get these supplies and do school-at-home, so I think the school-at-home thing came a little bit later. And that is fascinating—I love that you found people. I did not find people; my kids went to school for a few years before I came across the fact that homeschooling was even a possibility, so I love that you found a group of people. JAN: Yes, we got really lucky that way. I want to talk about your fantastic website, “The Natural Child Project.” It is at naturalchild.org for people; I will put links to everything in the show notes. It has been around since 1996, right? JAN: ’96 right. In December of ’96, almost ’97, we got on the Internet and started our website the same day. Then I finally learned that that is not really a website; you need a lot more things. So, I started putting more of my articles, and then I started finding other articles by other people like you that I liked and would ask permission for. Then, once we started publishing books, we would list the books. By the way, we have three books. PAM: Oh, sorry. What is the third one? JAN: The third one is not as well know, it is kind of different though; it is a children’s picture book, called A Gift for Baby. 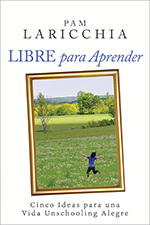 JAN: And it is a children’s picture book with a surprise ending; a typical fun children’s book, except what is different is that it shows attachment parenting in the pictures and the messages. PAM: Oh, sweet. That is cool. I remember back when I discovered that homeschooling was an option and was looking for information, I came across your website. That was back in 2002 and I remember that the articles were very reassuring and very helpful. I think Earl Stevens, ‘What is Unschooling,’ was already up by that time, and that was a classic one for me too. JAN: Oh! Thank you very much. I am glad you liked it. PAM: Yes, I was wondering if you could share that rose analogy and why it fits so well with that topic in general. JAN: Because children are like roses; beautiful, and delicate, and we need to love them and be careful with them, like we are with roses. Just like roses, they reflect their origins. They reflect the kind of upbringing they have had, especially in the first three years. Horticulturists talk about that all the time; that to have a good strong tree, you have to have a very strong sapling and give it all the water and fertilizer and sunshine that it needs, and meet its needs early on, and it is the same with children. I do not know if you want to get into politics, but we have a good example of that not happening in the US now, where he had a very difficult childhood. So, that is why I chose that analogy—it is just so critical. There is just so much dissension and wars and hate and where does that all come from? It comes from his or her childhood, and no one is looking at that; no one is looking at how to prevent. They are only looking at how to try to cure it, how to fix it and after a certain point you cannot fix it. Elliott Barker has alot to say about that; we have several of his articles on our website and we are going to have more because we have actually taken the collection of his articles to add to ours. So that is why I chose “rose,” it is such a good analogy to children. PAM: It is, and I love the whole gardening analogy, equating it to giving it lots of water, cultivating the soil, and supporting all that it needs to grow, yet you are not controlling what it grows into, right? The rose grows the way that rose is going to grow. JAN: Right, and it will grow into the best version of itself if it gets what it needs early. PAM: Exactly, because if it is not wanting for any one particular resource, then it can take in what works best for it. Turning that to children, maybe because children have such different personalities—I have three kids and from a a gardening perspective, the way I would support each one of them would be the same; giving them the most of what they need, but what they personally need is different. So maybe one needs a lot more attention, one-on-one time, and physical contact, whereas somebody else wants you just be nearby and they are more of an explorer early on, but they want to be able to come back whenever they need and have your attention. What each child needs is different. JAN: Very unique and individual. PAM: Yes, exactly, so like a unique rose, being there to give them whatever it is that they need is a common role. JAN: Yes, being alert to what it is that they need. PAM: Yeah! Paying attention, even in gardening, if you see it wilting, or other problems, you react to that and help nurture that. JAN: I actually have a little pattern that I give to my clients, if they are in a situation where they do not know what to do. It is: identify the feeling; validate the feeling; identify the need; meet the need; and apologize if needed. Those are the steps. I turned that into a poster, I think, because that is what people forget, because of the way we were all raised. Adults these days had childhoods where the information just was not there. It is not to blame their parents, but the information just was not there like it is now. PAM: Absolutely. Not to blame, but to understand. JAN: Because of the way we were raised, we have a tendency to repeat what we learned from our parents and very few of us had parents that would try to identify our feelings; they would express their feelings. They would not identify our needs; they would express their needs. So, this is a very critical piece of advice I give my clients. PAM: And like you said, it is not something we really experience or learn growing up. That is a big part of the deschooling process as we come to unschooling, isn’t it? JAN: Oh yes, exactly, it is the same thing. Because, growing up, if we went to school, we were taught subliminally that school is necessary and important and to be respected and that the teachers know what they are doing. They know how best to help you learn and they know what you should learn and when and where and all of that is wrong, and yet we were brainwashed into believing that. I also went to school, and I had some kind of learning curve too. In the beginning, I was tempted to think about what kind of books I would need instead of following his interests. It is really kind of a process that everyone has to go through, no matter how convinced they are of the philosophy. They have to go through a deschooling process and somehow forget all of those lessons that school taught us that are just ingrained in us now, it is really tough. PAM: They are ingrained, because those are the kind of messages we get everywhere. This leads nicely into the next question. Like you say, you can understand it and think this is awesome, but to actually do it day in and day out, that takes yet another level of understanding doesn’t it? To see it play out in your lives, and to see how it works, because you can understand the conventional expectations from the environment in which you are growing up. Ninety-nine percent of the people around you think you are crazy and it makes it hard. These days there are so many more people doing it, it is terrific. That is going to change and the children who are unschooling now will have it relatively easy; they won’t have to unlearn. What are they deschooling from? They won’t have to unlearn anything so it is going to have a huge difference just in one generation. PAM: I know, it is amazing to think that school is relatively new in the grand scheme of things, because it is so ubiquitous. 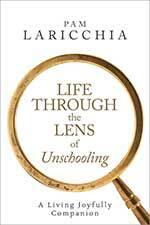 JAN: Everybody was unschooling. And even today, every now and then they find an undiscovered tribe of people and those kids know everything. They are classic unschoolers because they are learning by doing and by seeing what other people are doing. It is very natural and that is why if we could change the name, I would change it to something along the lines of “natural learning,” because it is natural and went on for many years. People forget that; the average person would think that school has been around forever. To not have that kind of historical perspective is very common, but it is important that people recognize that in the grand scheme of things it is just a blip on the scale. JAN: It is an experiment that has gone wrong and now we are trying to fix that. PAM: Exactly. Unschooling definitely aligns with how human beings are wired to learn. JAN: Of course, obviously. I think I put that in every talk that give; just watch any two-year-old exploring in a room. They do not need tests and they do not need people telling them what to look at or what to examine—they want to learn about everything and they are just so enthused. Unfortunately, that is what school kills. We can really destroy that kind of natural curiosity by telling them that they are learning the wrong things, and they have to learn what we are telling them to learn, and that what they want to learn is not as important. All of those messages are just terrible and that is what destroys the children’s natural curiosity, it is really sad. We should probably move on to question five! Trust is such a key component of our unschooling lives and I was hoping you could talk a bit about how you developed trust in unschooling and in Jason. JAN: I have to laugh because there is this funny story that I tell my clients when that topic comes up. One day, when Jason was maybe 18 months, he was in a corner of our living room sitting on our floor playing with blocks. He was extremely verbal I should add; he had a huge vocabulary by 18 months, which is fine, but not necessary. I am not bragging, that is just Jason; that was his schedule and everyone has their own. I had no idea that he knew that word and I just remember saying to myself, ‘Ok, I guess I do not need to test him; I guess I can trust him to figure things out on his own.’ I do not remember ever telling him that word. He probably got it from Sesame Street or something, but it was just a lesson to me that I could trust him. It is funny; it was just one little experience but it had a big impact on me. It just made me feel very silly and wrong. It showed me how school had gotten me into thinking that, of course, you have to test them; of course, you have to know what they know and what they do not know. PAM: And if it were a test, he would have got it wrong because it was not the answer that you were looking for. JAN: Yes, in school, rectangle would have been the wrong answer—that is what is so sad. I guess we have talked enough about school. 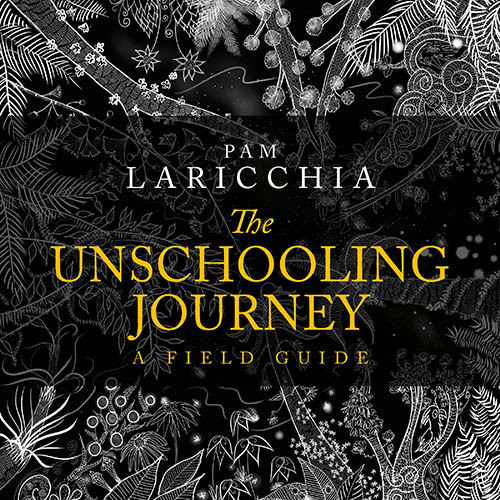 PAM: That is one thing I think is really fun and probably really hard about the deschooling journey. There is never one right answer or revelation for everybody. You—the general “you”—were just ready in that moment to make that connection; to gain that insight, to realize what you were doing, and take something new from that answer. Maybe three weeks before you had asked him a similar question without realizing what you were doing, and his answer did not strike you as anything different because he just said, “Red,” or whatever. That is what is so fun about the whole deschooling journey, to me anyway, just to find these everyday little moments when you are ready to really process what it means. JAN: Yes, that’s right, but you have to have some kind of openness to learning from those experiences. PAM: And I think that is how trust develops; you have to be paying attention to see it. You have to be looking at actions and reactions and you have to be open to seeing them more than just through the school filter. If you are just looking for learning to look like school, you are going to have a hard time understanding and seeing unschooling happening day to day. JAN: Yeah, Sandra has a really good article on that. I think we have added that on our website, I will send it to you; it is one of her brilliant articles. PAM: I’ll make a note; I will remember to ask you for that. You have another book, The Natural Child: Parenting from the Heart, that I wanted to get into and that is a collection of your essays about parenting and education. JAN: It is parenting, education, and child advocacy, the same three topics on our website. PAM: I really like the introduction. There was a point you made about attachment parenting or empathetic parenting and how that is often considered new age but is actually sort of old age. We touched on this just a little bit ago, but I was hoping that you could go into a bit more about what you mean by empathic parenting. JAN: (The term) Empathic parenting actually came from the name of Elliott Barker’s website. The website is gone but we have taken the contents and will be gradually putting it into our site. That was his description, which I have always really loved, I think it puts the emphasis on empathy; I cannot think of a better emphasis to have. His background is that he is a forensic psychiatrist here in Canada who worked at a psychiatric unit at Penetanguishene hospital for prisoners. He spent several years trying to fix these guys and getting very frustrated, because it was too late and no matter what kind of approach he used, he just could not make very much headway. So finally, he said, “Ok, that is it. I am not going to try to repair anymore, I am going to work on the prevention end,” and he started the Empathic Parenting website and started writing articles about that. They are wonderful articles; he is just a terrific person and putting the emphasis exactly where it needs to be in the very first three years. We have an article, ‘The Critical Importance of Mothering,’ on our website, which I highly recommend. In a very short article he really spells it out, making it very clear just how critical that time period is and afterwards it is very difficult to put it in. At one point, he even says that you can’t. I hope he was wrong about that, but he was very discouraged and disappointed by his experience with those poisoners and criminals. He finally realized that as a culture we really need to start looking at those first three years. That is the way you do it, but a politician is not going to be interested in that. It would take a very rare kind of politician to even understand that, let alone do that sort of study but that is what needs to be done. It is too bad that it is really hard to do that kind of thing; they want answers and research that takes one week. I do not know what the answer to that is, but it is frustrating because we know that those three years are so critical. 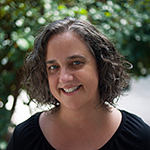 PAM: I like the emphasis on empathy that you mention because, when you look at that, it is where validation really works; when you can meet them where they are and be with them—that is where your connection gets really strong with your child. JAN: And feel what they are feeling; then you understand their feelings. PAM: Yeah. And it’s not like taking it on and acting that way yourself. It is totally understanding and feeling it with them, so that you can join them there. JAN: So that you know what they are feeling and you can help them. If you do not know what someone is feeling how can you help? PAM: Because all your suggestions will not really connect with them because they are coming from where you are. JAN: And your suggestions just come from your unquestioned assumptions. PAM: The way I talk about it is seeing things through your child’s eyes, not about walking in somebody’s shoes. So often we say, “Well, if I was in that situation I would do this.” But no, you are not the one in that situation. JAN: And you are not that person. He had no empathy because he had no children and had not spent much time with children. He thought he was being bad; he thought, ‘Jason’s making more work for his mom and his mom is not punishing him for that.’ At that time, I had enough empathy for Jason to know he was checking things out, he was learning why was this falling down. PAM: And eventually you get to the point when you have had that experience enough times, and realize that it is ok even if you do not know quite what they are getting out of it. If they are still pursuing it, and doing it, you know they are getting something. JAN: Yes, I had a friend we were visiting once when Jason was three and I do not even remember what was happening, it was just a normal life for us. Whatever I was doing or saying to him or I was listening to him, what I was doing was sort of out of the ordinary and she said, “Oh you are so patient,” and all I could think was, ‘Isn’t that wonderful, I am teaching him patience.’ I mean, what is the problem with being patient with a child? So, you teach him to be a patient person. PAM: Yes, they are living with you, being with you through the day. That is a fun memory. I want to touch on the The Unschooling Unmanual: Nurturing Children’s Natural Love of Learning, which I love; it is a very fun title. PAM: I love those little ah ha moments; make a quick note and go back to sleep. JAN: How do we know if we do not test, because that is how we learned in school. The only way that a teacher knows that you are learning is by testing and giving everybody the same test and it makes no sense, but that is what we were taught. PAM: So how do you answer that? JAN: I do not know, what did I say in the article? I cannot remember. JAN: Well, there are so many ways. Ok, now I remember some things in my article. I was saying that they are reading because they bring you a letter and they say, “This is for you, not for me.” You know that they are reading when they come up to you and start reading a book out loud. You know that they are getting comfortable with numbers when they figure out that someone’s birthday is so many days ahead of theirs. It is just part of life. And that is the main problem with tests for me. If you are testing a child they either know it or they do not know it. If they know it, there is nothing gained, they still know it and they already knew it. If they do not know it, they get embarrassed and frustrated and angry. That is the big problem in schools—the kids with the poorest grades are the ones that drop out and lose their love of learning pretty quickly because it has been painful for them. PAM: I love seeing it as living. I have so many blog posts and I swear that whatever the topic, invariably at the end, I end up saying unschooling is living, because not matter what, it comes back to it is just living. For me, how we know they are learning is just observing the living. When I am asked the question when out and about, I will often say that the teacher has a room full of 30 kids and she is not with them all the time, so the testing is a way that she can know what they know and be able to report it, to prove it. But at home we are living with them, so we can see them using new words, we can see them reading this little snippet. You are living with them and see them in action. JAN: You cannot miss it, you would have to be a pretty terrible parent to miss that; it is so clear, right there in front of your face. PAM: To me, if I tried to test while I was living day-to-day with them, the message would be that I don’t see you; I am not paying attention. Because kids can pick up the motivation behind a question, right? If it is curiosity, they are happy to answer that just like a conversation. JAN: Right, just like with our adult friends, it is the same thing. But testing to see if they know something you think is important to know at this age, when it may not be important yet. That is the other problem with testing; it thinks that every child is on the same timetable and nothing could be further from the truth. Jason was an extremely early talker and a late reader. He was all over the place and I was so glad when I look back and I see what his timetable looked like and how that would have been misunderstood in school. I really am so thankful that he was not there. PAM: Yes, that is a great point. That is a huge thing when you can release that expectation to follow what your five-year-old should know, or what your six-year-old should know in school. JAN: Right, because of the way schools are arranged and the way they are designed, they are pretty much limited to that, otherwise it would be bedlam to try to meet this child’s needs now and that child’s needs. You would have to be John Holt maybe; he must have been a terrific teacher. But most schools just do not get it in the first place; they really think that children have to know certain things. They have to read by this age, and they have to know arithmetic by this age, and it is just such a shame because they eventually will do all of those things, so what difference does it make? This is another point that I try to get in and I maybe should write an article. It makes zero difference whether a child learned colours when he does or ten years later. What difference does it make? They are not in business yet, there is no reason why they have to know certain things by a certain age otherwise their whole lives are going to be miserable. There is plenty of time to learn anything that they do not know yet. That is always my main point when I give unschooling talks; Jason learned everything at the same moment that he was interested in that topic, at the same moment that he had that question, if he was lucky enough to have somebody around to answer it, and of course now with the Internet he is that lucky. A child who learns things when they are interested will never forget; he hasn’t forgotten anything and tells me things that he learned when he was a child. It is all just added on information, whereas I do not know if I remember anything from my childhood. PAM: When they are interested in it, their brain is ready for that connection, as that is when they are hungry for that piece of information. That is when it is going to make the most sense and they are going to learn it. PAM: Yes, it’s understandable but that is what happens when you have to put a system on top of those 12 years, or whatever it is. You have to spread it out and have that expectation and move them along. That is a need of the system and that is why with unschooling we are moving away from that and you can follow the child. 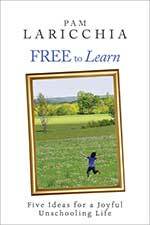 JAN: In unschooling, we have that available to us; we can pay attention to their needs and meet their needs. PAM: And meet their needs, exactly. We are on question eight! You have written about one of the more challenging day to day questions that unschooling parents grapple with; when does guidance become manipulation? On occasion when I write about it, I kind of describe it sometimes as the dance of parenting, or the dance of relationships, but definitely does not have a one size fits all answer, does it? JAN: No, it does not. I think that is the point. I think children are very adept at hearing our hidden messages, regardless of how carefully we phrase it. When we tell a child that a certain activity is required, we imply that it must be so unpleasant or difficult we would never want to do it. No one has ever required a child to eat ice cream—it is not that we should never make suggestions, but it IS that we should never anticipate or expect a particular response. Or be disappointed. If we are just sharing something that we find interesting, or that we think they might find interesting, like we do with our friends, like “Hey, I just saw this movie that I really think you would like, it is right up your alley.” That is fine, that is terrific. PAM: It kind of goes back to trust, doesn’t it? JAN: Guidance becomes manipulation when it becomes threatening, when the child thinks he has to do a certain thing. Your friend is not going to think they have to see the movie or they will lose their friendship. What did you find to be the most challenging aspect of unschooling? JAN: I had Jason read the questions to me a few days ago and he got to that one and I just laughed. My mother. Because she was the exact opposite, she believed 100 percent in schools and she was very old school. We have a funny generation gap in our family because my mom turned 40 when she had me and I turned 38 when I had Jason, so she is from a much earlier era where school was never questioned. All of the attachment parenting things we were doing; child-led weaning, and co-sleeping, and unschooling, were very hard for her to grasp. She was really, genuinely worried because that is not how she was raised. She was raised the exact opposite, so it took a long time for her to come to accept the fact that we were doing all of these things. It is funny, I joked once that I should have dedicated my book, “The Natural Child,” to her, because a lot of those articles were actually long letters that I wrote to her to explain what we were doing and why. PAM: That is interesting because I was going to ask what you did! JAN: We were 3000 miles apart and so I couldn’t pick up the phone, but I would write these long letters and a number of those letters became articles. She did me a great service because her scepticism and her judgement really forced me to think about what I was doing and why. Trying to explain it to someone who did not get it was actually very helpful to me that way. Then by the time Jason was three or four, a lot of her criticism died down because she could see the proof was in the pudding. She could see what a sweet wonderful kid he was, he was always wanting to help her, always smiling and obviously very bright. There you go, mom, what do you think? Did we do the right thing or not? She never admitted that, but it was clear from the fact that her criticisms became less and less over the years, and finally I think they were probably very minimal by the time he was ten. But once they got to know them as the kids got older, the proof was in the pudding, like you said, they started to understand what was going on and why that was such a wonderful environment for them to grow up in. JAN: This is such a beautiful rose; you must have done the right thing. Alright, our last question—I ask this question of all my ten questions guests. Looking back, what has been the most valuable outcome from choosing unschooling, for you? JAN: Just to look at Jason and know that he is happy, very secure, that he is amazing. If something goes wrong, he always sees the humour right away. I see the humour six months later; he sees it instantly, so he is always really quick with a cute little joke. He jokes about things but in a very kind way and very helpful, that helps me to see that I was taking something too seriously or that something is not as dire as I had thought. He keeps me in perspective because he has such an incredible perspective on life and in every way. Every interaction that he has with people is just so appropriate and kind. JAN: And it is so important to stay calm in difficult times, because anybody can stay calm in good times. It is how we treat each other and ourselves when things are not going so well. I am still trying to learn that, and I have this wonderful teacher right here. PAM: Exactly, right? Like you said, I love chatting with them, I love being with them, and hanging out with them; they are fun. They have such a fresh perspective on so many things in the moment and in the world and with information; how they have creatively built their unique picture of the world. Their picture and view of the world is so fascinating, isn’t it? To just hear them talk about something and share the connections and what they see and what they take from things is just so interesting. 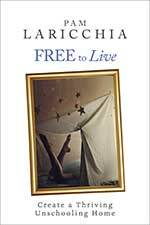 JAN: Well, all of that went into this article, and I want to mention is again, ‘Creating a Peaceful World Through Parenting.’ He and I spent several months going over every sentence with a fine-tooth comb; we did not want to hurt anyone’s feelings, we just wanted to be heard, you know, and clear, and this is all of the things. If we had only one article on our website, it would be that one to show people how we can have peace in the world. It all comes down to the early years and the way we treat children. JAN: And when we worked on that, we went over every sentence so thoroughly and it was beautiful to see his take on these things and his ideas on how to get this across better and to see how clearly he understands all of these concepts. PAM: That is awesome and I will definitely make sure that that link is top of the show notes for people to check out. Thank you so much for taking the time to speak to me today, Jan, it was so fun to finally get to talk to you! JAN: Yes, it has taken some years. PAM: Yes, a few years. Now that I have the podcast, I get to go and chat with all of these people that I have read for years and it is just such an honour on my part. I am thrilled, so thank you so much for agreeing to speak with me. PAM: And before we go, where is the best place for people to connect with you online? JAN: Ok, well our website is naturalchild.org and we have a Facebook page and it is facebook.com/naturalchildproject. PAM: Excellent! Cool, I will share those. JAN: Our website is updated about once a month and I update the Facebook page almost every morning, I add something in there. PAM: Excellent. Thank you so much Jan.
JAN: Thank you. I enjoyed it.